Fiftieth birthday ideas….hmmm. I thought I would do something EXTRA special for the day. But a day isn’t very long…. 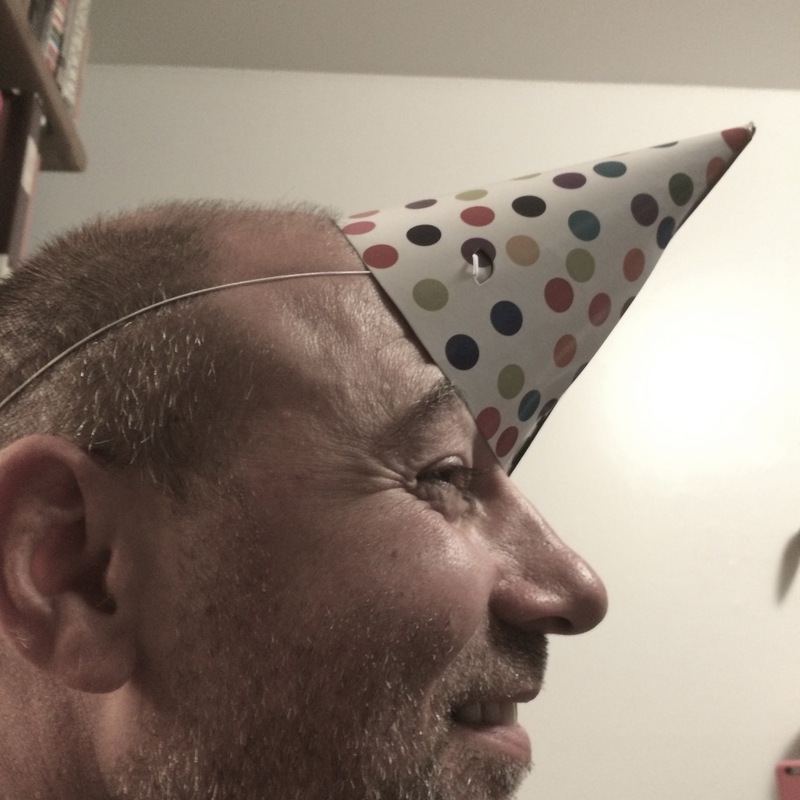 Many of you will remember that I turned 50 this year, and to commemorate this major milestone, I made a list of 50 things I wanted to do in the year between my birthdays– from March 31, 2015 to March 31, 2016. Get back to my neglected container gardens– outside home and the one at my studio. Travel to a place I’ve never been. Another mini-holiday in Big Sur. Try more new recipes and cooking styles. Make at least 2 virtual courses for clients. Take lots of photos as a way of seeing rather than archiving my life. Skydiving– is this the year? Explore a wisdom tradition that I don’t know so much — or anything–about. Jewelry of the year: Rose-gold. Purge like nevah before! Lots of space for the new. Share more of personal self with my clients and audience. In fact, BAKE my personal self into my work. Blog a really good list of book reviews with unexpected choices. Stay current with yoga apps. Work smart. Continue the 4 hour per day desk rule, for one thing. Practice and teach more pranayama. Continue to develop the Meditation-Mapping toolkits and building audience. Promote my books more + effectively. At least 1 vase of flowers in my home at any given time. Attend at least one retreat that’s longer than 7 days. Listen smart. Everyone is the Guru. Is this the year to finally get another pet? Take more of my own advice. Keep better connections with old friends– and not just on Facebook. Less coffee, more tea in the morning. My “Nifty 50” post inspired more responses than almost any post I’ve ever written. The responses were in quantity, but also quality. One person had set an intention to visit every continent on the globe before they died. I was really, REALLY moved by the responses. First of all, it’s an incredible honor to have complete strangers open up to you in this way.I’ll never meet all these people, yet they trusted me enough to tell me their wishes and desires, as well as their fears and vulnerabilities. But the opposite had turned out to be true. Sharing ourselves and listening to others share draws us closer to one another while simultaneously drawing us deeper into ourselves. Recently, I realized it’s been almost 6 months since I made the list and that I had n’t really looked at it since I made it. (Why obsess over it? )I felt like the time to check in on Nifty Fifty was dawning on the horizon. So, as I opened my blog and began to search for the Nifty Fifty post, I felt this backwards tugging in my stomach, and recognized the feeling as aversion. I paused and relaxed. As I took a deep breath, along came a flood of negative thoughts. I felt dread. I wanted to procrastinate looking at the list. I was genuinely curious, yet I was also afraid. Hmm. Interesting.This kind of surprised me. Kind of. After a few more moments I realized this “fear and loathing” was normal. Fear is caution that has just gotten a little too big for its britches. A protective voice that’s just a little too loud. What was I afraid of? I guess, fear of failure, fear of not being enough. I think I was also afraid that my inspiration to work through the list might have waned and that the whole project would just wither on the vine. Of course this hesitation was only momentary. I looked at the list. Reading through the very first time, I was flooded with all sorts of reactions– thoughts, feelings, of course– but also new ideas and tons of insight. Jotting down notes to myself, as fast as my fingers could type, I felt like I could turn the notes into a blogpost. But the notes were copious. I was overflowing with information. The Universe was sending me a hefty download. After awhile, I made myself stop typing and took a walk. On the walk, I realized the whole role my Nifty Fifty list played in my life had shifted over the last 5.5 months. Originally, I had thought the list was about creating and maintaining intentions.Looking at the list most recently, I felt it was about gracefully surfing the waves of chaos and embracing change. At first these two perspectives seemed at odds. Creating intention was about discipline, while surfing chaos was more like going with the flow or rolling with the punches. But actually creating intention and embracing change are two sides of the same coin. The face of The Dreamer is on one side of the coin; the face of The Improviser on the other side. I had made a list of 50 desires, shared it with you, then put it away for awhile and kept going. Now, writing to you about my second visit to the list, I feel like the process has shifted from being about dreams and improvisation, to begin about reality and mindfulness. The notes I wrote when checking in on my list are TOO LONG for a single blogpost, but I’ll chisel out the best bits and share them with you over the next couple of posts.AND…….Between now and the next post, I’d like to hear from you. As you record and track your intentions over time, what feelings and thoughts are you visited by? What new ideas arise when you comb through your To Do lists? What role does list making play in your life? Eventually, I’m going to disclose, to talk about my progress– which things I have and haven’t checked off my Nifty Fifty list. Until then, keep dreaming and improvising. Stay mindful and keep it real. Acknowledge your fears but don’t let them bully you into submission. Fears are cautions that have gotten too big for their britches. Few of us are afraid to dream, but many of us are afraid to fully admit our dreams and work tirelessly to make our dreams happen.